Created by Kevin Parnell and Barb Felix. 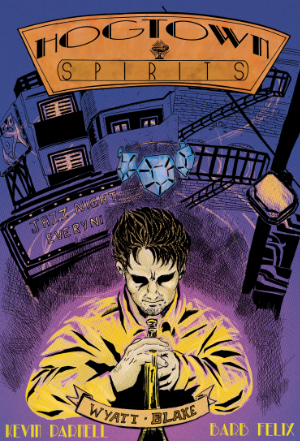 Down-on-his-luck trumpet player Wyatt Blake has one night to scrape together enough cash to save his life, but it happens to be the same night he stumbles into a old flame. 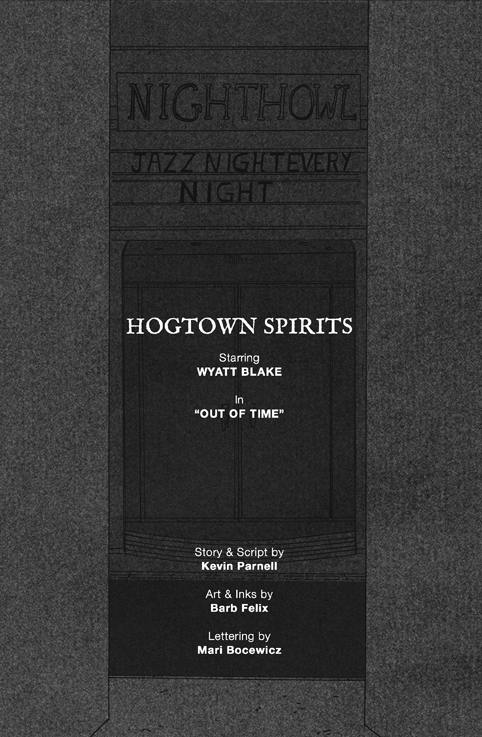 With little chance of a future Wyatt sinks into the past and takes a hazy trip into the rainy night along the streets of Hogtown. 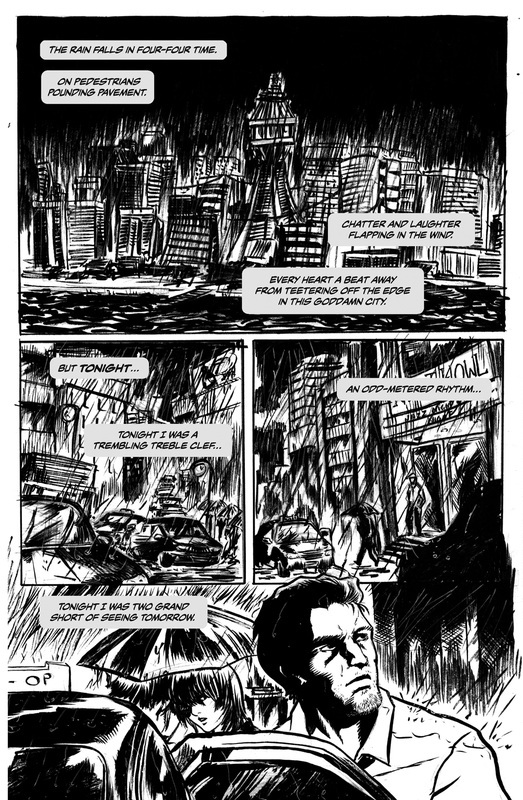 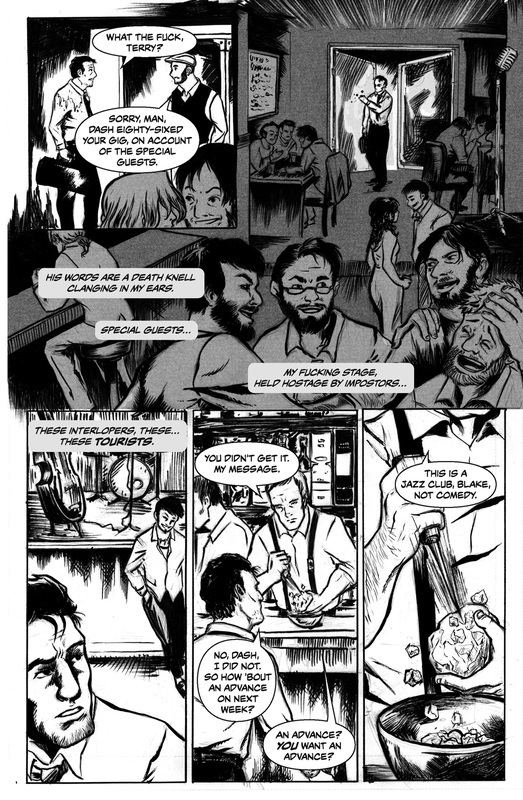 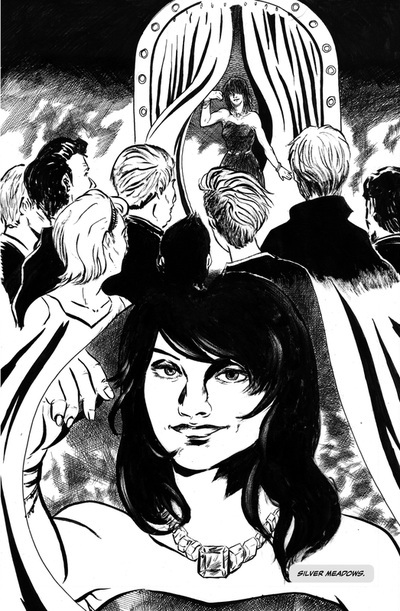 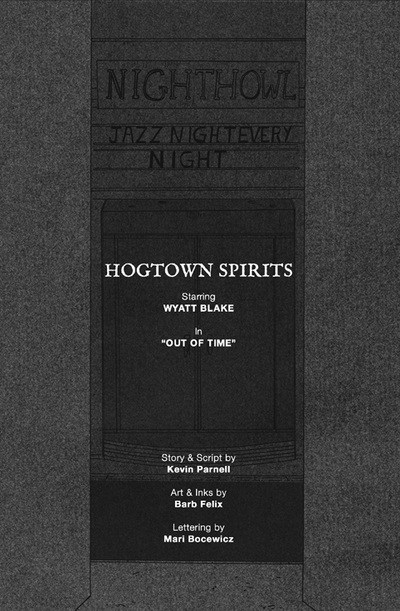 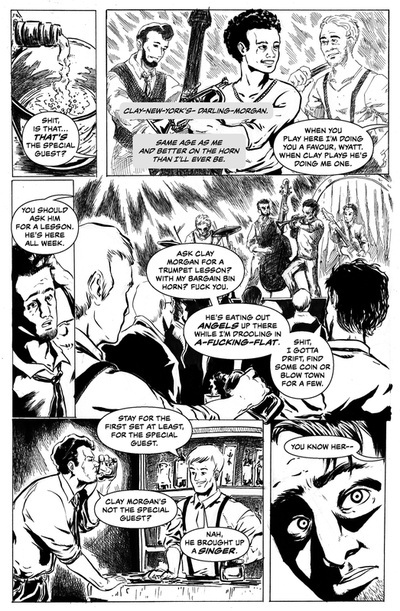 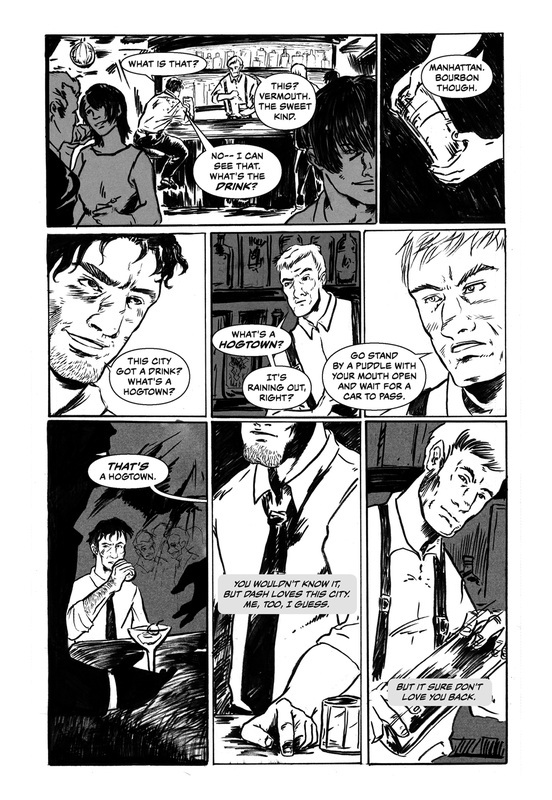 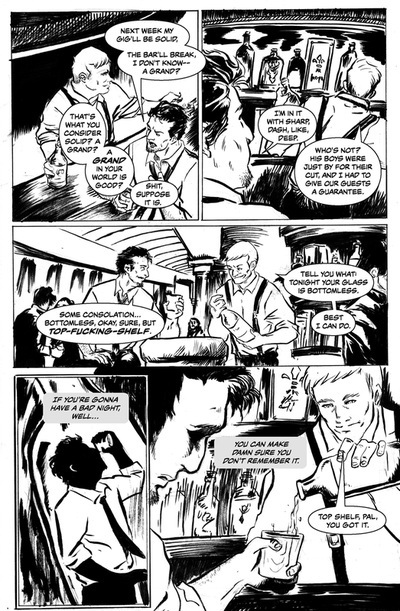 Hogtown Spirits #1: Wyatt Blake is available on Comixology and in a limited print edition.